Australian Commission on Safety and Quality in Health Care. Recommendations for the control of Multi-drug resistant Gram-negatives: carbapenem resistant Enterobacteriaceae (October 2013). Sydney. ACSQHC, 2013. (…snip…) Gram-negative bacteria have now emerged that are resistant to most types of antibiotics, including a key “last resort” class of antibiotic, the carbapenems. These organisms are referred to as carbapenem resistant Enterobacteriaceae (CRE). Multi-resistant Gram-Negative bacteria, such as CRE, place Australian patients at greater risk of potentially untreatable infection and increased mortality. CRE is of particular concern because Enterobacteriaceae cause infections at a high frequency and resistant infections are associated with high mortality. Patients in residential aged care facilities are also potentially at increased risk. Multi-drug resistant Gram- negative organisms have been isolated more frequently in overseas long term care facilities than some other Gram-positive multi-resistant organisms. Over the past 2 years there have been an increasing number of cases of CRE in Australian patients. Some patients contracted the infection overseas and unfortunately some within Australia. In November 2011, the National Healthcare Associated Infection Advisory Committee of the Australian Commission on Safety and Quality in Health Care discussed the potential implications of CRE in Australian hospitals. A taskforce was established in partnership with the Australasian Society Infectious Diseases, Australasian College of Infection Prevention and Control, Public Health Laboratory Network and Australasian Society of Antimicrobials to develop recommendations for the management and testing of patients with CRE. This paper incorporates recommendations for patient management that are contained in the Australian Guidelines for the Prevention and Control of Infection in Healthcare and the National Safety and Quality Health Service Standards. These include the use of standard and transmission based precautions, especially for patient placement, patient movement, cleaning and disinfection and antimicrobial stewardship. There are also additional recommendations for laboratory screening methods. The bottom line is there is no place to hide. Not even Australasia. Antibiotic-resistant microbes infect more than 2 million Americans and kill over 100,000 each year. They spread rapidly, even in such seemingly harmless places as high school locker rooms, where they infect young athletes. And throughout the world, many more people are dying from these infections. Astoundingly, at the same time that antibiotic resistant infections are skyrocketing in incidence creating a critical need for new antibiotics research and development of new antibiotics has ground to a screeching halt! In Rising Plague, Dr. Brad Spellberg an infectious diseases specialist and member of a national task force charged with attacking antibiotic resistant infections tells the story of this potentially grave public health crisis. The author shares true and very moving patient stories to emphasize the terrible frustration he and his colleagues have experienced while attempting to treat untreatable infections, not to mention the heart-break and tragedy that many of these patients' families had to endure. Dr. Spellberg corrects the nearly universal misperception that physician misuse of antibiotics and “dirty hospitals” are responsible for causing antibiotic-resistant infections. He explains the true causes of antibiotic resistance and of the virtual collapse of antibiotic research and development. Most important, he advocates ways to reverse this dire trend and instead bolster the production of desperately needed new and effective antibiotics. He also warns against complacency induced by the decades-old assumption that some miracle drug will always be available to ensure the continuation of our “antibiotic era”. If we do nothing, we run the risk of inviting a bleak future when infectious diseases will once again reign supreme. Then many of the medical breakthroughs that we now take for granted from routine surgery and organ transplants to intensive care and battlefield medicine might all be threatened. Every year, more than two million people in the United States get infections that are resistant to antibiotics and at least 23,000 people die as a result, according to a new report issued by the Centers for Disease Control and Prevention (CDC). Press release here, full report with excellent graphics here. The report, Antibiotic Resistance Threats in the United States, 2013, presents a first-ever snapshot of the burden and threats posed by the antibiotic-resistant germs that have the most impact on human health. This report is also the first time that CDC has ranked these threats into categories of urgent, serious, and concerning. In addition to the illness and deaths caused by resistant bacteria, the report found that C. difficile, a serious diarrheal infection usually associated with antibiotic use, causes at least 250,000 hospitalizations and 14,000 deaths every year. The loss of effective antibiotic treatments will not only cripple the ability to fight routine infectious diseases but will also undermine treatment of infectious complications in patients with other diseases. Many advances in medical treatment, such as joint replacements, organ transplants, and cancer therapies, are dependent on the ability to fight infections with antibiotics. If the ability to effectively treat those infections is lost, the ability to safely offer people many of the life-saving and life-improving modern medical advances will be lost with it. The use of antibiotics is the single most important factor leading to antibiotic resistance around the world. Antibiotics are among the most commonly prescribed drugs used in human medicine. However, up to half of antibiotic use in humans and much of antibiotic use in animals is unnecessary or inappropriate. If you think you needn’t worry about the rapid growth of antibiotic resistance, then I suggest you need to do a bit of homework. 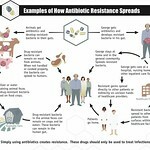 A starting place: Antibiotic resistance: a return to the pre-antibiotic world is coming faster than you think. This isn’t just an issue to be solved by “them”. We are the victims and the pressure for change has to come from “us”. Thanks to a tweet from @onemedical One Medical Group for the lead to the CDC report. One Medical looks to me to be a promising crack in the broken US primary care model. Not Your Typical Doctor’s Office indeed! We are seeing an alarming increase in new reports on the growth rate of antibiotic resistance. We cannot forecast the future date when we will return to the pre-antibiotic world. But we can be confident that if coordinated global action is undertaken straight away then the costs and social impact will be much lower than coping with the frightening future ahead. This is a hard problem, possibly a “wicked problem“, thought not quite like the scale of climate change solutions. The costs of effective action to save antibiotics are a small fraction of what is required to decarbonize developing economies. And the required cooperation is not nearly so diffuse. I will cite a couple of recent links that offer a survey of what is happening and what should be done to prolong our “golden age” of effective antibiotics. First Megan McArdle’s Bloomberg piece Life Without Antibiotics Would Be Nasty, Brutish and Short(er); second CDC Threat Report: ‘We Will Soon Be in a Post-Antibiotic Era’ by Maryn McKenna, author of Superbug; and third, the key source for the McKenna article Antibiotic Resistance Threats in the United States, 2013, Centers for Disease Control and Prevention. Sept. 16, 2013. Each year in the United States, at least 2 million people become infected with bacteria that are resistant to antibiotics and at least 23,000 people die each year as a direct result of these infections. Many more people die from other conditions that were complicated by an antibiotic-resistant infection. Antibiotic-resistant infections can happen anywhere. Data show that most happen in the general community; however, most deaths related to antibiotic resistance happen in healthcare settings such as hospitals and nursing homes. For thoughts on some policy solutions I recommend Megan McArdle’s October 2011 analysis. And lastly, become a member of the International Society for Infectious Diseases (we are). Members of the ISID can subscribe to the International Journal of Infectious Diseases at a discount – but note the journal goes open access in 2014. Most of what I read on antibiotic resistance, hospital-acquired infections (HAI) are very depressing. Humanity seems to be an accelerating train — the destination a pre-antibiotic world — where surgery is often a death sentence. Today I read of a possibly optimistic development: Breaking the bacteria barrier. The IBM Research hydrogel uses a novel attack by rupturing the bacteria’s membrane, rendering it completely unable to regenerate or spread. The researchers envision the first healthcare application to be surface decontamination. That’s very important in infection control, so it’s not a small thing if it works as they hope. The following image comes from IBM Research Hydrogels TUMBLR blog, where you can find more background on this research, and hopefully updates as they are announced. I’ve just followed @IBMResearch — there will be a a hydrogel chat in a couple of weeks. I’ll be looking for that announcement on Twitter/Tumblr. Since this is the corporate research twitter there will probably be a lot of traffic. I will suggest a #hydrogel hashtag to at least give us a chance of following developments. It isn’t obvious to me how bacteria will develop resistance to this mechanism of action. Am I missing something there? The IBM team has looked at an injectable application of the gel – e.g., at the site of an infection. What we all are hoping for is that this research could lead to the equivalent of a broad spectrum antibiotic effective against the growing number of super-bugs. If you read German, the full paper is available here: Broad-Spectrum Antimicrobial and Biofilm-Disrupting Hydrogels: Stereocomplex-Driven Supramolecular Assemblies. BTW, CDC has redefined HAI to be “Healthcare-associated infections” which is more accurate. A little bit of followup on our previous post on hospital hand-hygience. Eliminating hospital-acquired infections requires achieving a nearly perfect performance on many different fronts. From quarantine of suspect new admissions (e.g., nursing home patients), staff hand-hygiene, to efficient forensic analysis when the presence of an infection is discovered. The latter case illustrates to me the potentially enormous impact that technology might have on the infection control and the larger issue of medical errors. (…) Each caregiver is issued an Elpas Active Identity Badge. So when the caregiver uses a hand washing station or sanitizer, a nearby Elpas LF Exciter triggers the personal badge tag worn by the caregiver to transmit hand washing event messages that identifies the caregiver and the time that the specific dispenser was used. Elpas RTLS Readers relay this time-critical hand hygiene data over the hospital’s Ethernet network to the Eiris Command & Control Server that provides hand hygiene compliance reporting and alerting. Hospital administrators can use the Elpas Hand Hygiene Solution to generate detailed compliance reports per caregiver or per examination room. This documentation can be beneficial in monitoring staff compliance with hospital hand hygiene policies and to trace the source of infection transfers. The Elpas Hand Hygiene Solution can also alert administrators of non-compliance incidents in real-time as well as alerting those caregivers to their non-compliant status prior to providing care. So the system can alert the doctor that they need to rectify their hygiene before contacting this patient; and of course can perform logging of compliance exceptions. With this feedback, and the appropriate hospital administration priorities, soon there won’t be any un-corrected exceptions. Now, imagine a hypothetical infection case: a patient is discovered to be infected with MRSA. Besides quarantine and treatment, one would expect the hospital staff to urgently want to know “How did this happen? “. Who and what has been in contact with this patient during the time window of possible infection? The imagined RTLS system will “know” the time-location web of interactions involving this patient. Just one of the more obvious questions comes back to the hand-hygiene topic: were there compliance exceptions for any of the staff interacting with the infected patient? That knowledge would at least guide us to give high priority to those staff (I have no idea what best practice reactions are to this sort of case). If Sebastian Thrun and colleagues can program a self-driving car, it won’t be long before the technical capability exists to produce in seconds an analysis of the time-location history, allowing hospital response staff to establish possible infection-sources ranked from most- to least-probable. Is it a fixed contamination (staff coffee maker, elevator); a staffer; a mobile blood-pressure monitor? How many hours/days does it take today when humans have to paw through reams of paper records to reconstruct the time-location history? The longer it takes to solve the puzzle the more infections. There are already a number of competitors entering this field. Deployment seems to be starting with the easy and obvious: tracking hospital equipment and supplies, etc. – i.e., Walmart comes to hospital inventory control. Next seems to be error prevention priorities (is the correct patient about to get an amputation of the correct limb? ; correct drug delivery? ; etc.). So far I’ve not found any public case study information demonstrating important successes in infection control or medical errors from an RTLS implementation – but I am hopeful. If not RTLS, then we need some another impartial technology to overcome our human fallibility. Meanwhile, more people will continue to die (in the US) from hospital-acquired infections than from AIDs. Inspect hospitals just like restaurants? Betsy McCaughey is chairman of the Committee to Reduce Infection Deaths, a non-profit working on the critical problem of eliminating hospital infections. I recommend downloading and filing for reference the RID brochure “15 Steps you can take to protect yourself“. Last month, health inspectors in New York City shut down Serendipity, an upscale ice cream parlor. Though the closing made headlines, it is a common occurrence for less-famous eateries charged with violations like unclean cutting boards and floors, workers who fail to clean their hands, and improper food handling that could lead to bacterial contamination. Restaurants in New York are inspected, without prior notice, once a year. In Los Angeles, inspections are done three times a year, and restaurants must display their grade near the front door. After L.A. instituted this inspection system in 1998, the number of people sickened by food-borne illnesses fell 13%, according to the Journal of Environmental Health. Other cities are now following L.A.’s lead. Why aren’t hospitals held to the same rigorous standard? The consequences of inadequate hygiene are far deadlier in hospitals than in restaurants. The Centers for Disease Control and Prevention estimate that 2,500 people die each year after picking up a food-borne illness in a restaurant or prepared food store. Forty times that number — 100,000 people — die each year, according to the CDC, from infections contracted in health-care facilities. Data recently published by the Journal of the American Medical Association show that infections from just one type of bacteria — methicillin-resistant Staphylococcus aureus (MRSA) — kill about twice as many people in the U.S. as previously thought. The finding is based on lab tests, not on what hospitals report. If the same methodology were used to quantify deaths from all hospital infections, the death toll would likely be much larger than 100,000. These infections are caused largely by unclean hands, inadequately cleaned equipment and contaminated clothing that allow bacteria to spread from patient to patient. In a study released in April, Boston University researchers examining 49 operating rooms at four New England hospitals found that more than half the objects that should have been disinfected were overlooked by cleaners. An earlier post on McGaughey: Hospital infections & how you can reduce your risks. Betsy McCaughey is chairman of the Committee to Reduce Infection Deaths, a non-profit working on the critical problem of eliminating hospital infections. 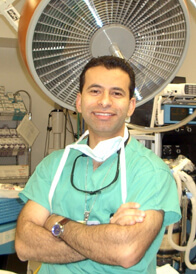 …That is why RID was founded: to motivate hospitals to make infection prevention a top priority and to show them the financial benefits of doing so; to provide patients with information on how to protect themselves; and to educate future doctors and nurses on the precautions needed to stop bacteria from spreading patient to patient. Many hospital administrators believe they can’t afford to take these precautions. They can’t afford not to! Infections erode hospital profits. When a patient contracts an infection and stays in the hospital weeks or even months longer, the hospital is seldom paid for the added stay and care. RID’s research provides compelling economic evidence that preventing infections can cost far less than treating them. RID is also creating educational tools for medical and nursing schools. It’s hard to believe, but young doctors and nurses in training seldom have even one class session devoted to hygiene. Educating the future generation of caregivers about hygiene and making it a central part of medicine again may be RID’s most lasting legacy. Finally, better infection control in hospitals is essential to prepare the nation for avian flu or bioterrorism. If hospitals have effective infection controls in place, they can prevent bird flu victims from infecting other patients who did not come in with it. If not, bird flu could sweep through hospitals. Right now, most hospitals are woefully under prepared. How can hospitals that have failed to contain ordinary infections spread by touch control a flu virus that is communicated by droplets from coughing and sneezing as well as touch? Even more challenging would be small pox, plague, and other bioterrorism weapons that can travel through the air. Shoddy infection control is poor preparation for a flu epidemic and poor homeland security as well. I recommend downloading and filing for reference the brochure “15 Steps you can take to protect yourself“. Why can’t you Google the score cards for hospitals’ infection rates? Ideally, you would choose a hospital with a low infection rate. Good luck getting that information. It’s impossible. Many states collect data on infections that lead to serious injury or death, but nearly every state-with the exception of 6-has given into the hospital industry’s demands to keep the information secret. The federal Centers for Disease Control and Prevention also collect infection data from hospitals across the nation, but refuse to make it public. Government is too often on our backs, instead of on our side. What’s the answer? Hospital infections report cards. Hospitals object that comparisons would be unfair because hospitals that treat sicker patients, such as AIDS, cancer, and transplant patients who have weakened immune systems, will have a higher infection rate. True, but the data can be risk adjusted to make comparisons fair. What is unfair is preventing the public from knowing which hospitals have infection epidemics. Keeping infection rates secret may help hospitals save face, but it won’t save lives. Australia is taking some steps towards coherent surveillance, but AFAIK there is no state- or nation-wide database of hospital scores. Victoria’s VICNISS site has useful resources, and is expected to offer more, such as Aggregate Infection Rates for Victorian Hospitals. If you are an American admitted to a hospital in Amsterdam, Toronto, or Copenhagen these days, you’ll be considered a biohazard. Hospital infections kill an estimated 90,000 patients each year in the US. About 13,000 of those deaths are due to methicillin-resistant Staphylococcus aureus [MRSA]. Methicillin is the last line of defense the hospitals have today against staph infection. So why are European hospitals reducing MRSA incidence, while the incidence of MRSA cases continues to grow in the US? If you are an American admitted to a hospital in Amsterdam, Toronto, or Copenhagen these days, you’ll be considered a biohazard. Doctors and nurses will likely put you into quarantine while they determine whether you’re carrying methicillin-resistant Staphylococcus aureus, a deadly organism that is increasingly common stateside, especially in our hospitals. And if you test positive for methicillin-resistant staph, or MRSA, these European and Canadian hospital workers will don protective gloves, masks, and gowns each time they approach you, and then strip off the gear and scrub down vigorously when they leave your room. The process is known as “search and destroy”â€”a combat mission that hospitals abroad are undertaking to prevent the spread of germs that resist antibiotics. Our own health authorities, meanwhile, have been strangely reluctant to join the assault.